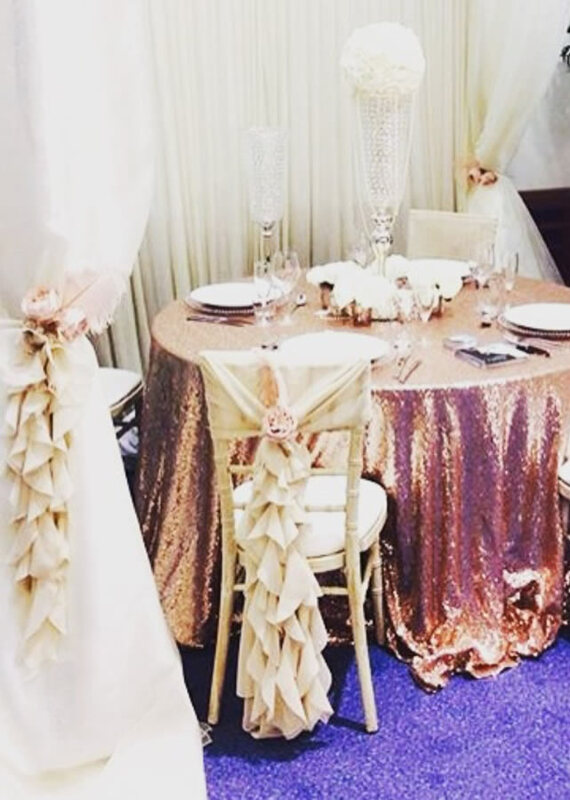 Hotels and different venues usually provide the linen cloths with your wedding package. 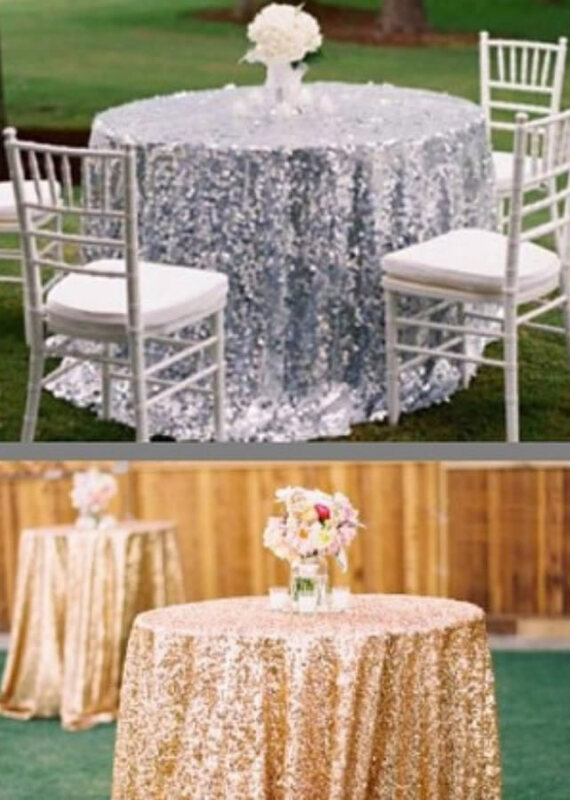 However if you want to give your room personality & character sequin tablecloths, lace overlays, burlap table runners are the way forward. 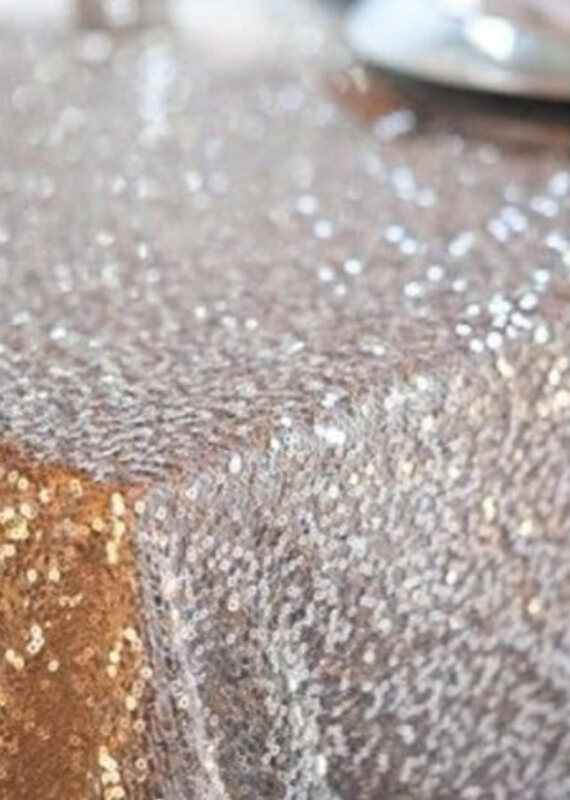 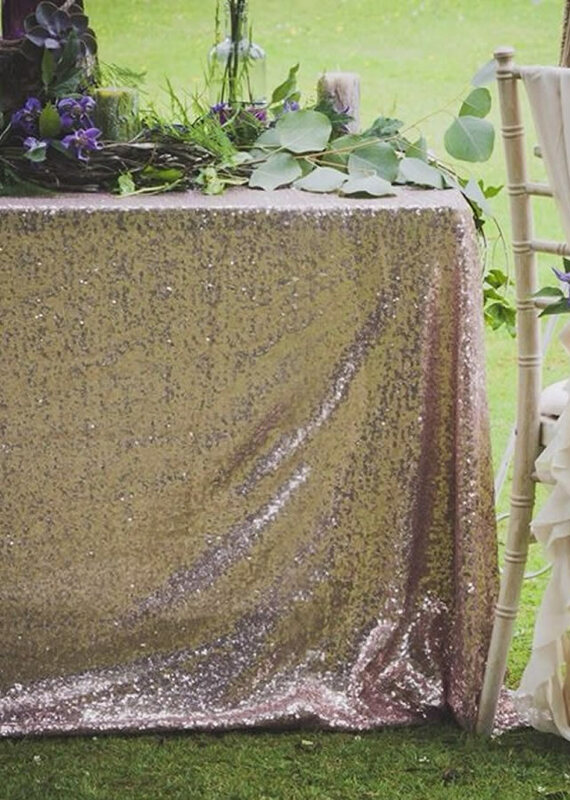 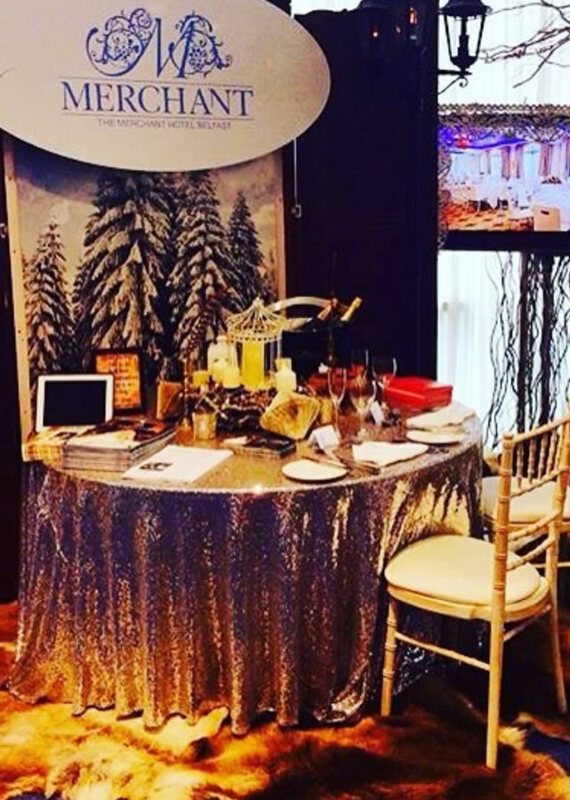 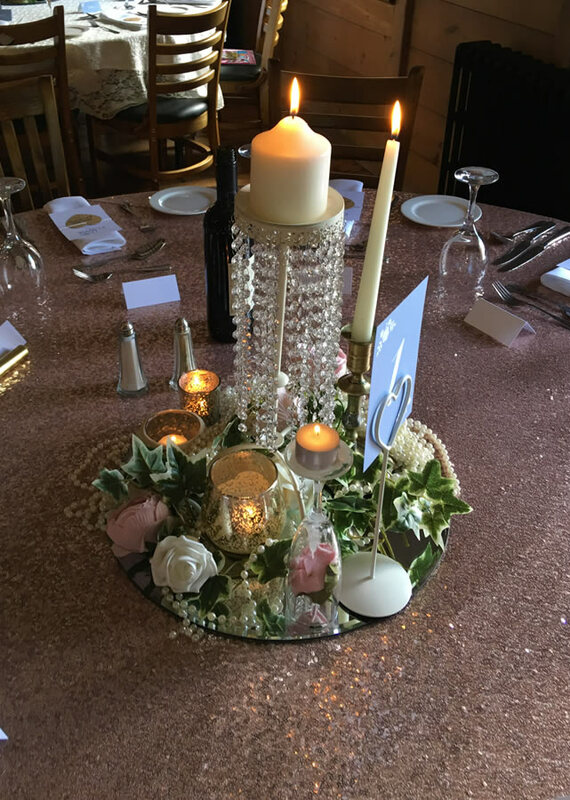 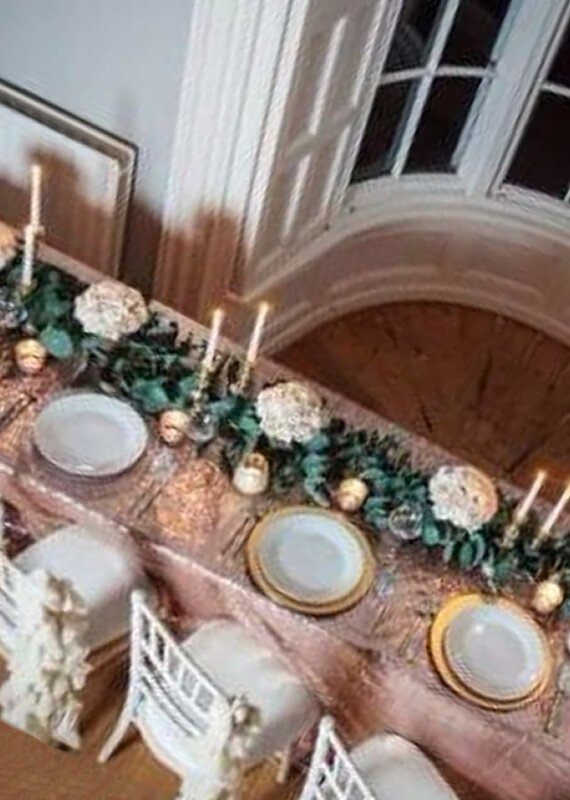 The sequin tablecloths come in rose gold, Silver & gold. 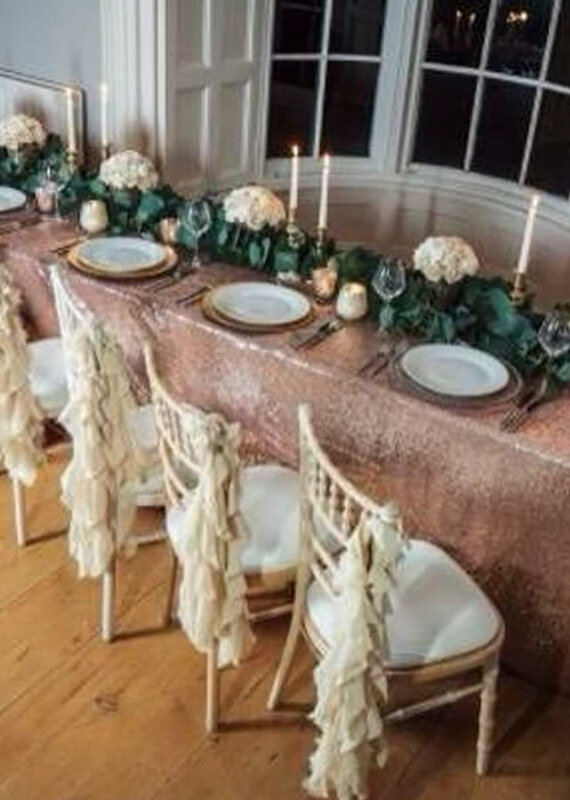 The lace tablecloths come in Ivory & silver.